Chase Field is the site of the matchup between the Los Angeles Dodgers and the Arizona Diamondbacks on Tuesday, August 29, 2017. The probable starting pitchers are Rich Hill for the Dodgers and Zack Godley for the Diamondbacks. Los Angeles opens at -123 while Arizona opens at +113. The Dodgers have a 53-69-9 over/under record and a 64-67-0 run line mark. The Diamondbacks are 70-61-0 against the run line and have a 58-66-7 over/under record. The Dodgers have a 91-38 overall record this season. Starting pitcher Rich Hill has a 9-5 record with an earned run average of 3.32 and a WHIP of 1.14. He has 122 strikeouts over his 103 innings pitched and he's given up 77 hits. He allows 6.7 hits per 9 innings and he has a FIP of 3.89. The bullpen has an earned run average of 2.94 and they have given up 337 base hits on the year. Teams are hitting .209 against the bullpen and they've struck out 490 hitters and walked 129 batters. As a team, Los Angeles allows 7.4 hits per nine innings while striking out 9.5 batters per nine innings. They are 1st in the league in team earned run average at 3.1. The Dodgers pitchers collectively have given up 947 base hits and 399 earned runs. They have allowed 139 home runs this season, ranking them 30th in the league. Los Angeles as a pitching staff has walked 339 batters and struck out 1,228. They have walked 2.6 men per 9 innings while striking out 9.5 per 9. They have a team WHIP of 1.11 and their FIP as a unit is 3.53. As a team Los Angeles is hitting .255, good for 17th in the league. The Dodgers hold a .447 team slugging percentage and an on-base percentage of .341, which is good for 2nd in baseball. They rank 19th in MLB with 8.6 hits per game. Corey Seager is hitting .311 with an on-base percentage of .392. He has 142 hits this season in 456 at bats with 65 runs batted in. He has a slugging percentage of .502 and an OPS+ of 133. Justin Turner is hitting .329 this year and he has an on-base percentage of .420. He has totaled 120 hits and he has driven in 58 men in 365 at bats. His OPS+ is 149 while his slugging percentage is at .532. The Dodgers have 1,104 hits, including 249 doubles and 183 home runs. Los Angeles has walked 527 times so far this season and they have struck out 1,100 times as a unit. They have left 912 men on base and have a team OPS of .788. They score 5 runs per contest and have scored a total of 645 runs this year. Arizona has a 73-58 overall mark this year. With an earned run average of 3.15, Zack Godley has a 5-7 record and a 1.11 WHIP. He has 124 strikeouts over the 117 innings he's pitched. He's also given up 90 hits. He allows 6.9 hits per nine innings and his FIP stands at 3.27. The bullpen has an earned run average of 3.78 and they have given up 366 base hits on the year. Teams are hitting .238 against the Diamondbacks bullpen. Their relievers have struck out 397 batters and walked 151 opposing hitters. As a team, Arizona allows 8.3 hits per nine innings while striking out 9.2 batters per nine innings. They are 3rd in the league in team earned run average at 3.64. The Diamondbacks pitchers as a team have surrendered 1,074 base knocks and 472 earned runs this season. They have given up 142 home runs this year, which ranks 28th in Major League Baseball. Arizona as a staff has walked 411 hitters and struck out 1,195 batters. They give up a walk 3.2 times per 9 innings while they strike out 9.2 per 9. Their team WHIP is 1.27 while their FIP as a staff is 3.79. As a team, they are batting .253, good for 18th in the league. The Diamondbacks hold a .437 team slugging percentage and an on-base percentage of .327, which is good for 14th in baseball. They rank 17th in MLB with 8.6 hits per contest. Paul Goldschmidt comes into this matchup batting .316 with an OBP of .427. He has 147 hits this year along with 104 RBI in 465 AB's. He maintains a slugging percentage of .594 with an OPS+ of 154. David Peralta is hitting .301 this season and he has an OBP of .355. He has collected 128 hits in 425 at bats while driving in 43 runs. He has an OPS+ of 104 and a slugging percentage of .459. The Diamondbacks as a unit have 1,129 base hits, including 255 doubles and 169 homers. Arizona has walked 459 times this year and they have struck out on 1,204 occasions. They have had 911 men left on base and have an OPS of .764. They have scored 4.84 runs per game and totaled 634 runs this season. 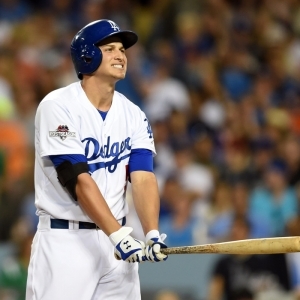 Who will win tonight's Dodgers/Diamondbacks MLB game against the spread?